ssbsllc2015, Author at Smart Strategic Business Solutions, LLC. Just hearing the word “brand” makes me think of the organization Coca-Cola. Its “brand” is one that is quite recognizable across the world. The Coca-Cola white sort of fancy lettering embossed on a red background. Wait? Is it their “brand” that is recognizable or is it their “brand name?” We have to discuss the differences in both before we move forward. 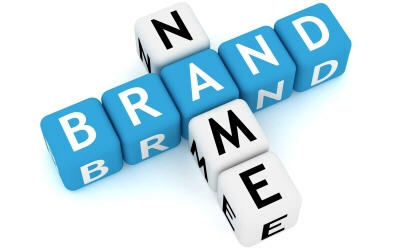 The online dictionary definition of “brand” is the name given to a product or service from a specific source. Used in this sense, “brand” is similar to the current meaning of the word “trademark,” any word, name, symbol, or design, or any combination thereof, used in commerce to identify and distinguish the goods of one manufacturer or seller from those of another and to indicate the source of the goods. Consequently, how do we create a brand that has a story always being told? First, we need to know the story we are trying to tell. Consider, why your brand is so important to the world or the audience that is being targeted? What is the over arching theme that drives this product or service and ultimately shares its history? Does your story solve a problem? 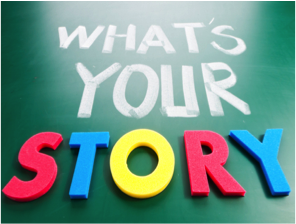 Is your story a reason for action, a special event, your history or future, a strategic or learning story or simply an “I’m like you” story? Whatever the theme, your story will be unique to you, your brand, and the experience you are trying to create. Next, we need to understand how to tell our story. It is reasonable to say that we want the story to be “good.” In order for it to be good, we need to know our audience and tailor the story to them. If you were branding a story about your triumph to cooking that led to the discovery of a baked good unlike any other then your audience would probably be people who love to cook and love baked goods. Also, you need to make sure your story is authentic and true. People resonate with real truth not propaganda or fiction? The people that are going to buy your product or service need to relate to a real story. Just as important as the truth is, keeping your story simple is also important too. I think it is a human reaction to want to make our story EPIC and BIG! But many times it is the simple and sweet story that captures our hearts, so KISS (keep it simple and sweet). Lastly, we need to understand the components of a story that will help us to better capture and intrigue our audience, so they buy in to what you are selling or promoting. In every story there are five main parts: the Character, Conflict, Journey, Cliffhanger and Resolution. First, let us take a look at the Character. The characters in a story usually always follow these same traits—the Hero, the Maverick, and the Sherlock. The Hero of the story is always given a challenge. The challenge is usually rejected at first because at times it is human to not to want to take on a challenge. But, the Hero soon determines that the challenge is what sets him or her apart from everyone else and then the challenge is accepted. Next, is the Maverick. The Maverick of a story wants to change the world. These are the dreamers and the difference makers and even the rule breakers who are not afraid to “ruffle the feathers” for change. After the Maverick, we have the Sherlock character of the story. The Sherlock is the problem-solver. For every problem there is a solution. This character is persistent and willing to look at problems as challenges needed to restore faith in humanity. Consider what character trait(s) you or your business might have that will help you to brand your identity. The third part of a story is the Journey. The journey is the part in the story that has all the details and content. This is where you will discuss the obstacles, adversity, or massive struggles in greater detail and where you will captivate your audience by speaking to their emotions. The fourth part of a story is the Cliffhanger. The cliffhanger is the peak of the story and can also be the most compelling part of your “brand story” that drives your overarching goal—why you exist. Even though things might seem insurmountable, there is an inner drive or strength that will help to change the course of the future for the better. Lastly, we have the Resolution. Each part of the story has built up to this stage. This is the transformation stage where the character—you, your company or even a group—know you have the means and desire to make a great impact with your brand. As you piece your story together, remember that it is not a long-winded six-paragraph essay about your company or a blog post. Your “brand story” should connect people to the “why your company came to be” or “how your product or service came to be.” Even deeper, your brand story can take a look into you as a company. Keep an eye out for our next article that will discuss taking your brand story and creating a brand name for forming and marketing your business! Ethos 3: Storytelling 101. 2015. Imagine where you want to be someday. Now, how did you get there? Retrograde analysis is a style of problem solving where you work backwards from the end game you want. It can help you win at chess — or solve a problem in real life. At TEDYouth 2012, chess grandmaster Maurice Ashley delves into his favorite strategy. Many would agree, that without vision, a plan has no meaning and that could be true because vision defines the optimal desired future state – the mental picture – of what an individual or organization wants to achieve over time. Vision also provides guidance and inspiration as to what an organization is focused on achieving in five, ten, or more years. So, with such a long-range focus, why wouldn’t someone with a vision then create a plan? Stay tuned… because the answer will amaze you!! After a long day of planning and strategizing, I literally walked out of my office in search of a story on Tuesday, October 6, 2015. So often, I find myself –this strategic thinker–always trying to solve my client’s problems…Well, of course, that’s what they pay me to do. Yet, it can, at times, leave me drained and pushing aside my creativity that makes me who I am. Now, I do realize that my creative juices are flowing even when I am critically thinking and planning but it is just a different type of creativity. My search for a story was to just use my artistic background in digital media for a purpose beyond strategy. As I went out into the community with my camera a.k.a. (lens) by my side, I was led to my old stomping grounds in the Buckeye community where I grew up. It always amazes me to see how the community has been enhanced with brand new schools, businesses, and health clinics. Well, it would seem that my lens was intrigued by the enhancements too, and we began to document the beauty of the community. After capturing the sun as it was beginning to set over the lines and edges of the new Harvey Rice Elementary School, we drove to the community park near the Buckeye-Shaker Community Development Corporation. 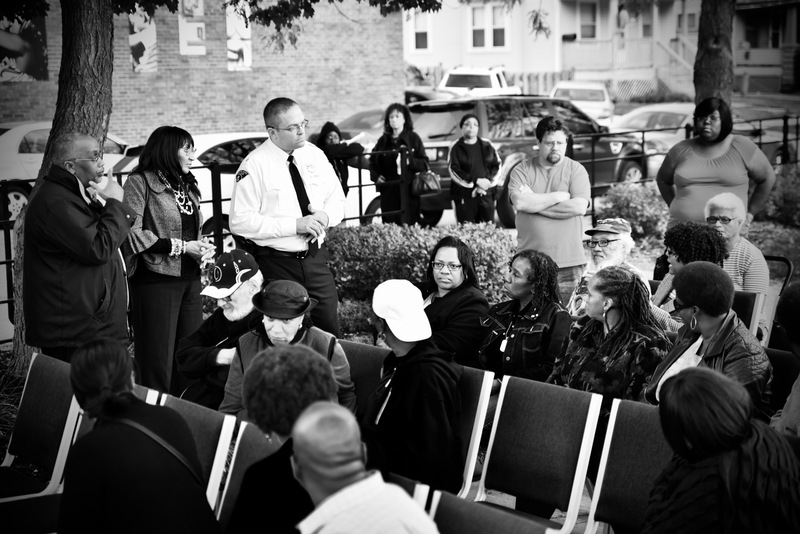 To our surprise, there was a community safety meeting in progress that already started to tantalize us with intrigue! I could see my lens with its hungry eyes just waiting to snap and capture every moment. But, I knew we were there for a purpose beyond just taking pictures. Looking for the pivotal moments of emotion and the thirst for change, we waited. Unable to wait any longer, we captured the cries for help to take a stand and to my surprise…even the creation of a plan. I could not believe it. Even though I was there capturing this monumental story, all I kept hearing was the need to have a plan. The most prolific statement made by a resident was, “I am not marching anymore. I am not getting in anybody’s parade or anything and march for peace. When you [the police commander] get down to the table and you start making plans on how we can actively get rid of this ‘crud…’ Call me; I’ll be the first one at the table making those plans […]. The time for marching is over!” I was blown away. The very thing I was running from was right in my face–Planning. It is obvious that I cannot escape being a strategist because even in the midst of just hangin’ out with my lens; I was in the midst of a strategic plan. Some might say that I was in the right place at the right time…but I say that I was led there as a reminder to embrace who I am –my grassroots, my artistic expression, and my strategic mind. Take a look at the video Cleveland Ward 4: Taking Back Our Streets that documents a community who has the willingness to take a stand but also knows there needs to be a plan.